How is it the end of October already? Seriously, I’m calling a do-over. There’s no way it’s almost the end of the month. With Thanksgiving family travels taking me far away from my regular routine, plus a week of staycation right smack dab in the middle of the month, this month was a blur. I haven’t even picked up Halloween candy yet, and Halloween is this Saturday. Based on this, I’ll be totally upfront with you guys and say that I feel like I didn’t put as much effort into the Mindful Budgeting Program as I could have this month. Don’t get me wrong! I did my worksheets diligently every week, on top of continuing to track all my spending in a Google spreadsheet. I read through Cait’s wonderful introduction and guidebook as to how to use the templates, and honestly, that alone was worth the cost of the program. Someone give that girl a book deal already. I think there are two reasons I feel like I didn’t do all that much this month to work through the program. 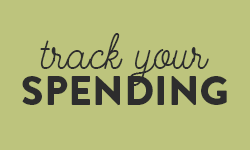 One is that tracking all my spending has become just another part of my routine. I’m really into knowing this level of detail, and after the first month, I didn’t even have (much of) an urge to bury my head in the sand as unexpected expenses came up! were really the only additions to my routine, alongside a Sunday check-in to review my weekly spending. But it made a huge difference. 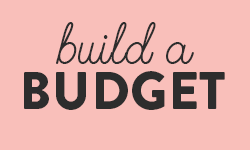 If you’ve read Cait’s blog, Blonde on a Budget (now called Cait Flanders), you won’t be surprised to hear that this program takes a wonderfully positive approach to budgeting and spending and money in general. There wasn’t a single point in the month where I was sad or ashamed about a purchase, and even in the cases where OK, I could probably have handled something better – there was always next week. In the course of those three simple questions, the Mindful Budgeting Program can seriously shift how you look at your money. Identifying what the best money you spent in a week was is a quick way to gut check your spending against your values. As you look down the list of what you spent, you’ll start to see which purchases brought you a lot of happiness – and which ones didn’t. Then, you take a look at what you’re proud of. That’s not a question that gets asked often enough, and one of the reasons I think J$’s recent “National Be Proud of Your Money” day resonated so well. I think everyone might feel a bit better about their money management if they took time to pat themselves on the back about the smart money moves they are making – and not just focusing on what’s not quite there yet. Selling my very first digital print on Etsy! Getting that email was so much fun. 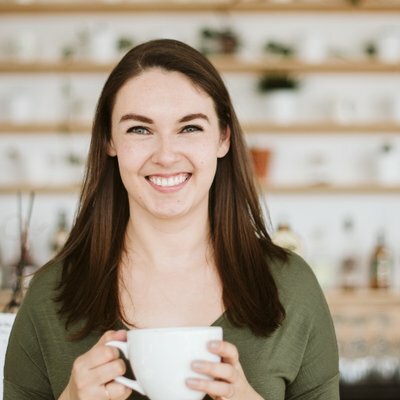 Asking for a raise at work after being inspired by a great post about making more money from Stefanie O’Connell – and getting it! And lastly, because improving is important in any circumstance, you get to take a look at what you can do better. I think I’m just in a happy glow-y place about money right now, but this month was pretty great overall. I was doing some digging into my old savings rates and spending patterns for a guest post I wrote (to be announced later!) and it hit me: I’m so much more mindful about my spending than I used to be. Seriously, the improvement is pretty drastic. In an average month, according to my old Mint accounts, I was spending just about every single dollar I had coming in. How was I spending so much money? I have no idea. Genuinely, I couldn’t tell you a single thing I bought in those months. The only real expenses I remember – and would pay for again – are vet bills and training classes for The Dog. Everything else was just… unremarkable. 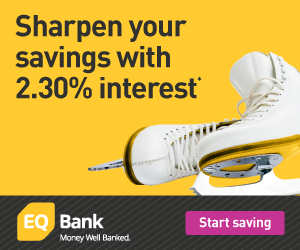 Which brings me to The Thing I’m working on improving: my savings rate. Unsurprising, given its the central topic of my blog, right? This month, here’s what I spent and saved. Yes, there’s a bit of a gap – 3.7% percent, to be accurate – and that’s to account for the fact that the month doesn’t really end until Saturday. With some expenses coming up between now and then – Halloween candy! – I’ll have a few additions to take into account before I wrap up the month and get a final percentage. So next month, as with this month, I’ll be working on getting that savings rate up to my target of 50%. That said, it’s moving in the right direction. Last month it was around 36%, so I’m inching my way closer to saving a full 50%! My Final Word on Mindful Budgeting? As I’ve been writing this post and really reflecting on my time working through Cait’s Mindful Budgeting Program, I don’t think it’s a bad thing that I felt like I didn’t put enough effort into completing the program. Maybe saying a budgeting program felt too fun and too joyful to count as “effort” is the best thing you can ask of a new way to look at your budget. Maybe this isn’t supposed to be that hard? That’s a question I’m going to mull over a lot more in the coming months, but one thing is for sure: the Mindful Budgeting Program has given me a wonderful new way to look at and to track my money from week to week. I’d recommend it to anyone – even if you’ve never been into budgets before. Because I think we can all agree that being “into budgets” isn’t something most people outside of the personal finance world would own up to. Going forward, I’m going to follow some of the program’s advice to use a few months’ worth of tracked expenses to draw up a sample monthly budget, but with only two months of accurate tracking under my belt, that’ll be a 2016 kind of activity. Cait, if you read this – thank you for such a wonderful product and for the shift in thinking it inspired. Everyone else – I would absolutely love to hear what the best money you spent this month was, or what you’re most proud of this month! I promise it’ll make you feel pretty great about your budgets, and I can’t wait to celebrate it with you. *Coffee at the Menil Bistro as my writer’s hidey hole place after seeing Rothko for free. *Big tip to the hard working lady who cut my hair at the Beauty School. She did NOT see it coming and that makes it SO FUN! Oh Suze that’s so wonderful and kind of you! I love surprising people like that, and I think that is such a lovely thing to spend on – probably something to add to your “proud of” column as well, you definitely made that woman’s day! Yay, nice job! I love all of your “best money” purchases. And I too have been hugely inspired by Cait’s blog, so I can totally relate to how much of a difference it can make when we choose to view budgeting and saving in a positive light. It’s funny, I have as many completely failed crafts as I do wins, and when I was making the digital file to send to the printers I was entirely prepared to have saved it in the wrong file size, or type, or have the entire print just… disappear. Don’t even ask me how that would happen, but I’ve had enough failed Pinterest projects to be entirely unsurprised when they happen. I should really tell the story of the time I messed up not one, but four consecutive batches of macarons. THAT was a good time. Hahaha anyways, it turns out the digital stuff is much more my jam, which is how Etsy even happened. Most of the stuff on there I just marvel at – like, as if people make jewellery from scratch! Amazing. Congrats on the Etsy print and the raise! Woohoo! Thank you Penny! Hahaha to be totally honest, the $5 Etsy sale may have gotten a bigger reaction… don’t tell my boss. Just wanted to congratulate you on your very first sale. What a thrill huh? If you have a smartphone, and download the Etsy application, you can get to hear one of the sweetest sounds there is, the cha-chin of a new sale. Your print is very pretty and artistically rendered. I think you have talent so push forth; keep creating prints because the more you have the more sales you’ll get over time. My wife and I started our own Etsy shop to sell literary prints and the more content we’ve generated the better we’ve done. The first few months were slow and a bit discouraging, but through perseverance and hard work it finally took off. 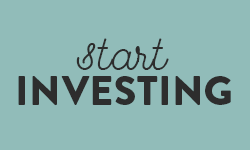 I encourage you to keep it going; that’s a bit of money that can go straight to your savings account. Oh I’m totally going to do that, thank you for the suggestion and for the encouragement! Honestly, after setting it up I basically neglected it, which I know is the absolute wrong way to go about things. My goal, especially in the new year, is to add one print or download to the shop every week to build up a bigger product selection. I figure if that’s what all of the on-boarding tutorials and guides say to do, there’s probably something to it, and it’s great to hear that confirmed from someone who’s been through it themselves! Also, I *love* your store – I definitely need to pick a theme the way you have and stick to it! Congratulations on an amazing month, Des! I’m so glad to hear you enjoyed Cait’s program. I LOVE her blog and always assumed her program would be great, so I’m happy to hear that belief confirmed 🙂 Reading about your favorite expenses inspired me to do the same. So thanks for the tip! Also, WHAT THE HECK?! Your prints are gorgeous! I have a feeling that you’re Etsy sales will continue to increase as you go forward with your designs. Happy (almost) Halloween! Thank you so much Taylor! I hope you have fun with the favourite-expenses tracking – it’s such a fun part of examining your spending, and I think from reading through your commandments it’ll be right up your alley! Thank you for sharing what you’re learning in doing Cait’s program, even if you don’t have as much time to devote to it as you’d like. The best money I spent was on a plane ticket to visit family over US Thanksgiving. And what I’m most proud of is that we stayed positive during the market roller coaster, and now we’re back ahead of where we started and might still hit our original targets for the year. Yay! !!! The suspense! It’s like a thriller movie, but about finances. Perfect for Halloween, and about all the suspense I can take at one time – I’m not really one for actual thriller movies. I can’t wait to read all about it! Oh that is SO awesome! I considered a Lego advent calendar for my boyfriend, but we set a strict-ish spending budget for Christmas this year and I would have blown through it just with the pre-Christmas gifts, haha. I’ve seen some of the DIY beer advent calendars, but it’s so awesome that one of your local places put one together – not only will it be a super-appreciated gift, but you get to support a local business! Huge wins all around. I feel like I need to pitch this to my local breweries next year, haha. And when you’re ready, I can’t recommend the MBP enough! If you want to make sure you have the time to do it, my best advice would be to track all of your expenses the month beforehand – that’s the bulk of the time commitment, and if you can manage that, you’re good to go! Awesome! It always feels so good to sell something that is yours. It gives you validation that people like what you’re doing. So exciting! And well done on the savings rate! We’re inching up as well! That’s awesome Maggie, congrats on the savings rate increases on your side as well! Happy Sunday! Oh that’s awesome Alyssa! I got into hand-lettering as a hobby last winter, and I absolutely love it – it’s saved me SO much money on buying greeting cards, haha. I’m sure you’ll a) have a ton of fun and b) make some fantastic chalkboard signs! I found a combo of Pinterest and Skillshare classes was the perfect intro to doing my own calligraphy-type stuff. Skillshare’s especially great if you cram in a solid month of focused learning, so you only pay for one month of membership, haha. Just don’t forget to cancel it after like I did! I loved this post. I read Cait’s blog and stumbled on here because I wanted to redo the program. I think there’s something about it being year-end that gets me in a mood to recollect what’s happened and “what happened to all my money? ?” questions. With that said, congrats on working on your relationship with money. Also, on that Etsy sale! Woohoo! Anyway, December’s only just arrived so the best money I spent in November was paying for 50% of my surfing trip (to happen during the holiday period). I feel an energy shift inside of me and I really do feel like I need a break and a time to spend near the sea. That’s probably it. I’m so looking forward to it and it’s what’s kept me sane all these weeks.